I know it’s a little late to be sharing this Mardi Gras mask, but there’s always next year! Or, you can make this mask just for dress up fun. A great way to enjoy an afternoon of imaginative play. 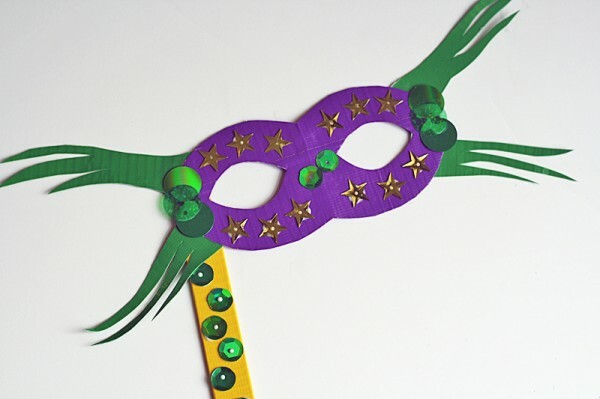 Get my tutorial for this Duct Tape Mardi Gras Mask at Kix Cereal. For some reason when I click on the Tutorial links that are provided by this site, the websites are blocked due virus detection. I can’t view any of the tutorials due to this. Granted I am at work and they have pretty high standards when it comes to checking viruses…so I just wanted to let you know about these issues I have experienced from this site, while at work. I just thought it may be something you might want to look into. Thanks Jennifer. I’m guessing it’s because Kix Cereal is a brand name and your work probably has it blocked somehow. Thanks for the head’s up!